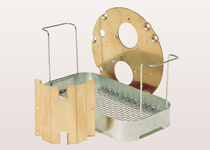 We stock a wide range of materials for immediate processing of your order. In addition to fabricating your parts we can also provide the finishing touch . 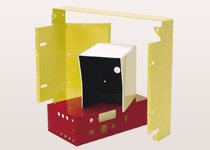 Standard or Custom color Paint/Powder Coating; Plating such as Zinc Gold, Black Anodize or Chrome. Multi Color Silkscreen.…and more! 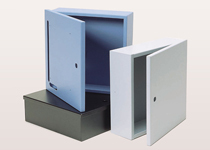 The metal components we fabricate are used in a variety of products. Below are examples of our customers finished products. Copyright ©2013 Cytek Manufacturing, Inc. All Rights Reserved.